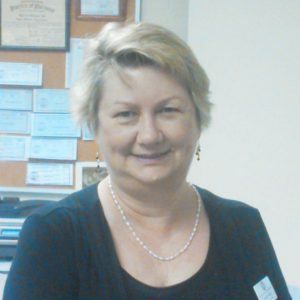 Shearie Archer has been with Ozanam Charitable Pharmacy since 2008. Under Shearie leadership Ozanam has moved to a new location, developed various programs like Medication Therapy Manager. 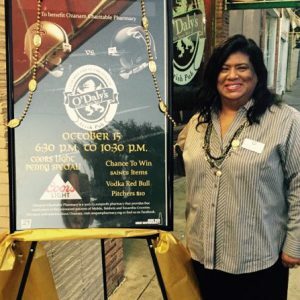 She is a current Board of Director of United Way of Southwest Alabama, Alabama Free and Charitable Clinics and the newly national formed CharitablePharmacy.org and President of United Way Executive Council. In 2012, Shearie was recognized as Best Mobilian Right Now by Lagniappe. Shearie is a member of Mobile United Leadership, Class 2006. Mrs. Archer is a Mobile native and a graduate of the University of Montevallo. She and her husband Lewis have one daughter, Alexis. Annie Daniels has been with Ozanam since 2001. As Chief Pharmacist, Annie has supervised the move of the pharmacy twice and has served as a preceptor for 4th year pharmacy students from the Auburn University Harrison School of Pharmacy. 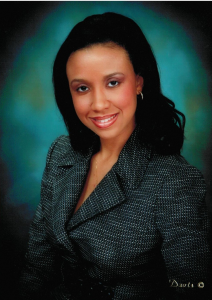 Annie is a native of Decatur, Alabama and is a graduate of the Auburn University Harrison School of Pharmacy. She and her husband Mike have two sons, Michael and Jonathan. 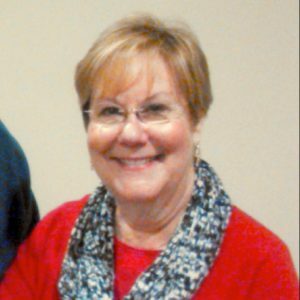 Judy Kramer has been with Ozanam since 2008. She moved to Mobile from South Carolina and was hired to start Ozanam’s Patient Assistance Program. In the 2014-2015 fiscal year, the Patient Assistance Program crossed the $1 million mark. Judy has three sons, Mark, Scott and John and 4 grandchildren. Doug Cook came to Ozanam in March of 2016 through the Goodwill/Easter Seals Senior Community Service Employment Program. He moved to Patient Relations Manager in July, 2016. 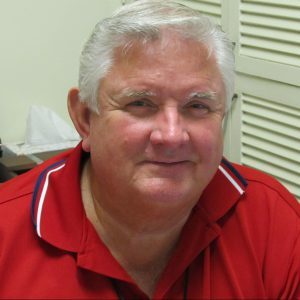 Doug oversees the recertification of Ozanam’s patients and the operation of the patient service area. He is originally from Greensboro, AL. He and his wife Paula have 3 children, Colette, Alan and Landon and 8 grandchildren. Tenaysha Carroll is a native of Mobile, Al and a graduate of Daphne High School. Her advanced education includes an A.A. from Faulkner State Community, B.S. and M.S. from Troy University, M.B.A. from Columbia Southern University. Ms. Carroll’s professional development consists of Mobile United Leadership, Class of 2016, and United Way of Southwest Alabama Project Blue Print Leadership Class of 2012. The Mobile Area Chamber of Commerce-Growth Alliance Task Force and The Junior League of Mobile. Her professional proficiencies are: event management, human resources management, non-profit donor development/fundraising/leadership and small business training.